I’ve been a fan of the Brooks Pure line since I stumbled onto it in preparation for the 2013 Route 66 Marathon. I bought two pairs of Pure Cadence to train for and run the full marathon, and it was the first time I’ve made it through a marathon training cycle and marathon without any foot or lower leg injuries. Needless to say, I like the Pure Cadence, but it does have a few small warts. The current version of the shoe is the Brooks Pure Cadence 4. It weighs a mere 8.8 ounces with a 4 mm drop. Beyond that, Brooks will tell you about BioMoGo DNA and Omega Flex Grooves. Whatever those terms might mean, they don’t matter. 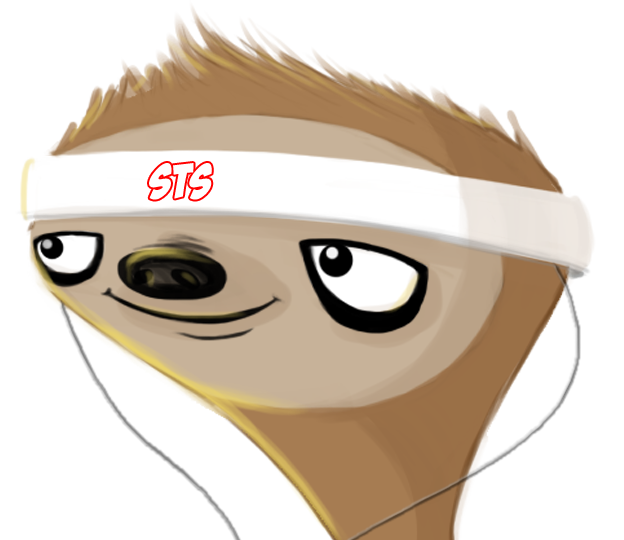 What matters is the Nav-band. The Nav-band comes across the top of your mid-foot to help secure the shoe. The Nav-band gives the top of your foot a nice warm hug so that the shoe feels secure even if the laces aren’t cranked down so tight that you can’t feel your toes. In fact, I wouldn’t be surprised if you could run without laces in a properly sized Pure Cadence. If you decide to use the laces, which I do recommend, they route through the shoe in a unique way. In most shoes, the eyelets are positioned directly across from each other giving the shoe symmetry. The Pure Cadence are asymmetric with eyelets staggered on each side. The tongue is also attached more to the inside of your foot than the outside. These two design features combined with the Nav-band lead to a very secure fit that doesn’t require you to risk injury to keep your foot positioned properly in the shoe. It’s not unusual for me to retie normal running shoes 3 or 4 times before leaving the house. With the Pure Cadence, though, I rarely retie the shoes, and I’ve never felt pain anywhere in the upper. Beyond the lacing, the upper breathes well. The Pure Cadence do not breathe quite as well as the Newtons I’ve worn, but it’s a very close second. 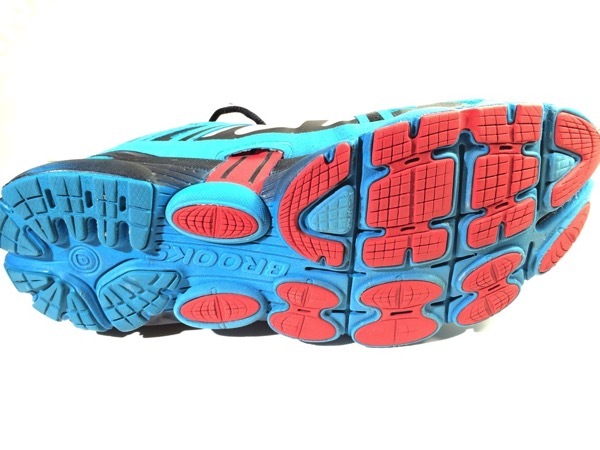 The toe box is unfortunately a bit small, but for most runners it should be sufficient. I wear two sets of Injinji socks on most of my runs. Even though it’s a tight fit, I’ve never experienced any numbness. As a mid-foot striker, the heel-to-toe drop of 4 mm is perfect for me. I’m generally happy with anything from 0 to 8 mm. The tread is fine. Tread rarely affects me on a road shoe so there’s not much I can say other than that I’ve run in a variety of conditions, and I’ve never had any trouble with traction. For Durability, I find the Brooks Pure Cadence decent but not great. I’ve had no issues with wear on the upper, and the tread has held up well. The only issue I’ve seen with durability is the cushioning. After 150-200 miles, I feel a dramatic improvement moving to a new pair of shoes. The only issue I have with that mileage is the fact that they’re sold as 250-300 mile shoes. That said, I find I wear shoes down faster than the advertised numbers. Most of these shoes were in heavy rotation when I was closer to 175 pounds so I carry a bit more weight than the runners for which they measure the specifications for marketing. The Brooks Pure line is built to be lightweight for speed so there is not a lot of padding. The Pure Cadence are definitely not part of the maximalism revolution we’re experiencing in 2015. Even so, I find the level of padding sufficient for most purposes. Like I said, my first pair were the only shoes I’ve ever worn and been able to avoid foot and lower leg problems. You might notice I said first pair. I’ve actually owned 4 pair of Pure Cadence, 2 Pure Cadence 2’s and 2 Pure Cadence 3’s. 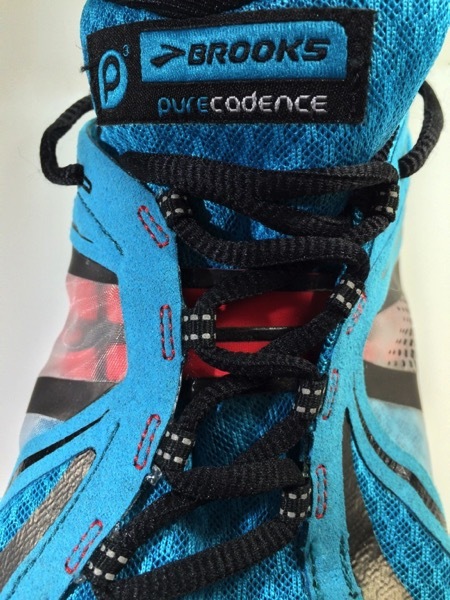 My experience with the Pure Cadence 3’s did not quite live up to the Pure Cadence 2. Even though I bought 2 identically sized pairs at the same time, the fit was decidedly different. One of the blue pair had some sort of unusual stitching in the tongue that rubbed uncomfortably, and one of the red shoes seemed to lead to pain in the bottom of my foot near the metatarsals. At the Tulsa Run in 2014, I actually resorted to using metatarsal pads in the shoe to reduce the pain. I don’t think the Pure Cadence caused my metatarsal pain in and of themselves, but I do think inconsistency in the construction contributed to it. I only experienced the problem in 1 out 4 individual shoes. I’ve also rejected shoes at the shoe store due to odd fit variations. My main issue with the Pure Cadence is really an issue with Brooks in general. I just find their shoe construction to be inconsistent. Stepping beyond the consistency, I also find it frustrating that Brooks (and most other running shoe companies) massively redesign shoes every year even if they are working well. Case in point, the Pure Cadence 4 now has symmetric lacing with regular eyelets instead of the fabric loops from the Pure Cadence 2 and 3. Regardless, the Brooks Pure Cadence are still the best road running shoes I’ve found. The negative issues I’ve experienced with other brands and models far outweigh the relatively minor issues I’ve had with Brooks. My recommendation is you try Brooks, try the Pure line, but make sure you leave the store with a pair only if you are 100% confident in the fit and build. This entry was posted in Product Reviews, Running and tagged Brooks, product reviews, Pure Cadence, shoes by Jason. Bookmark the permalink.